If you are looking to protect your home, you will want to check to make sure that there are properly functioning smoke detectors throughout the home. This means having good smoke detectors spread throughout the home, not just in the kitchen or other areas that you think might be most susceptible to fire. Having one in each room, as well as in hallways and other open areas, is a good idea. But the checkup of your home does not end there. One of the most important preventative measures that you can and should take is having a professional come in to your home to do a full inspection of the electrical systems and wiring. One main cause of structure fires can be traced back to faulty, old or otherwise dangerous wiring that you would have very little warning about before an actual fire would break out. While the initial costs of installing proper fire alarm systems and checkups for the wiring in your home or office may seem to be a bit much, you would end up paying much more, should a fire occur, and chances are the effects would reach far beyond the financial impact. Firefighters and other experts can tell you that there are four basic stages to a fire. Understanding these stages can help you develop the necessary knowledge and respect of fire that could make all the difference in the heat of the moment. The first is the ignition, or the incipient stage. It is when the fuel source, heat, and oxygen combine in a chemical reaction that sparks the fire. Sometimes the fire will burn out on its own after this stage, and if you can identify this stage, your chances of either putting out the fire or getting away from it are greatly increased. The two middle stages of a fire are naturally the most dangerous. During the growth phase, oxygen and flammable materials or combustibles nearby feed the fire. The rate of the growth of the fire can depend on the location of the fire, the height of the ceiling, and what is nearby to feed it. Though it is the shortest of the four stages, it is the one during which materials can suddenly and forcefully ignite. The fire has fully developed when it can no longer grow or ignite anything new. This stage is the hottest, and is considered the most dangerous for anyone who has been caught or trapped within the structure or fire. This phase usually lasts the longest of the four, and it is marked by the noticeable drop in fuel or oxygen that allows the fire to die out. However this stage is also dangerous, as there are still dangers for re-ignition or spreading to new areas or materials. Installing the right fire alarm systems is important everywhere, not just in the home. 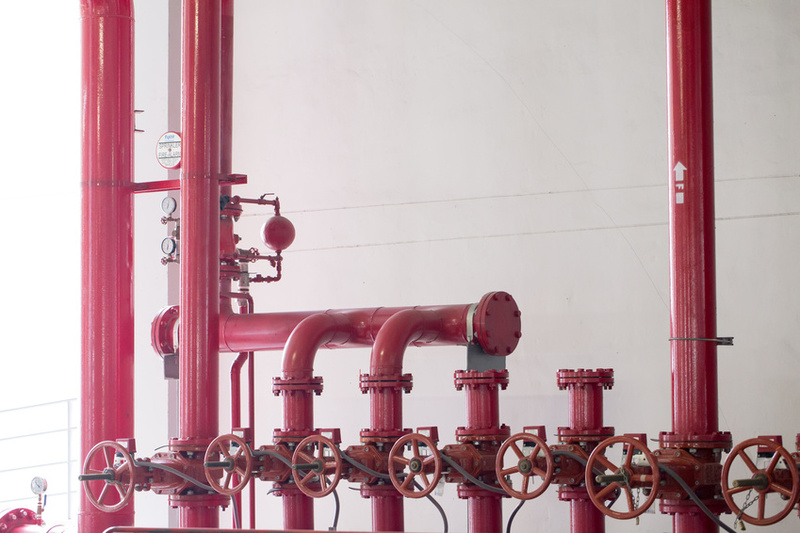 Fire alarm contractors should be consulted for businesses, public buildings, and other structures as well. Hotels and motels, especially those with smoking rooms, can be hotspots for potential fires. Each year this sector suffers about $76 million in property loss, and there are an estimated 15 deaths and 150 injuries due to fires. Having the right fire alert system makes all the difference. If a fire is detected and emergency services are alerted about 10 to 15 minutes before the end of the first stage of the fire, firefighters have a better chance of limiting the resulting damage.